We are delighted to welcome Carys to our studio this week. 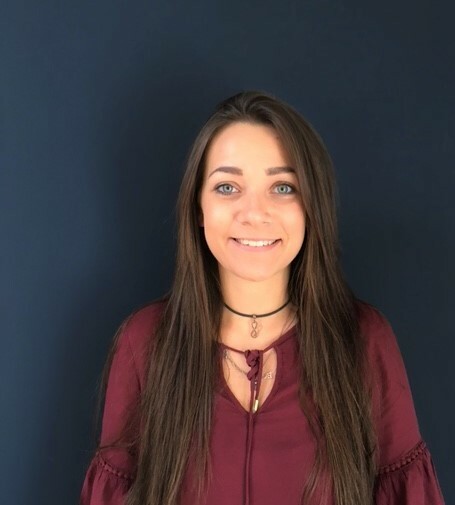 We were inundated with applications for our Social Media Apprentice role and we met lots of great candidates but Carys really stood out to us with a passion and interest in digital marketing. Although it’s only her second day with us, she is making a great start and has been working well with the team. We look forward to helping Carys expand her digital marketing experience. What course did you study and what grade are you hoping to achieve? 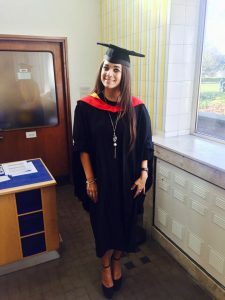 I Studied BA (Hons) Business Management at Glyndwr University and I am hoping to be graded at a 2:1. What is it that attracted you to digital marketing? As digital marketing is a growing industry you can learn new and exciting skills on a daily basis. You can view actual physical results every day in contrast with traditional marketing platforms and it gives me the opportunity to be creative and innovative. I am a keen hockey player having vice captained my team at University; I hope to join a local club in the coming months. We received many applications for the Social Media role, how did you feel when you found out you had been selected? It still hasn’t sunk in! It is a great opportunity and I am very thankful for the position. 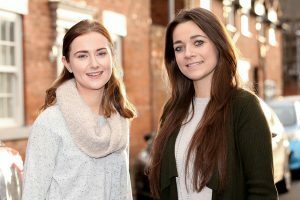 I felt very comfortable in the interview with Jane and Libby, I enjoy talking about things I know about but realise I need to expand now with practical experience in a live office. Do you think having some industry experience on your CV will help you to stand out from other graduates? Definitely, I think it will be very beneficial for my self having industry experience, I intend to gain as much experience and knowledge as I can because this is the direction in which I want to base my early career. 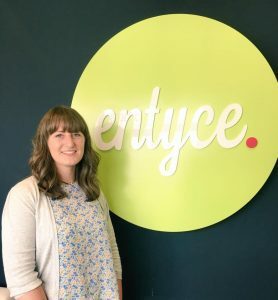 How have you found working with the team at Entyce? Everyone was very welcoming and as although I was nervous on my first day it is a very relaxed office but hardworking of course! It is early days, I haven’t met everyone yet but I think that it is possible to know straight away that you are going to get along with the people you work with which helps a good working atmosphere. What are you hoping to achieve from your placement? I hope to gain as much practical experience as possible, share my ideas with others in the office and get some feedback. I want to gain valuable and transferable skills to increase my self confidence in this field of work. I am excited to see what I will achieve. Watch this space to see further updates from Carys.